A lot is bubbling out of Brooklyn in 2018 but it seems like the new guys are chasing a sound that isn’t indigenous to the borough. This is where Young Melo comes in, a Brooklyn rapper that sounds like Brooklyn. 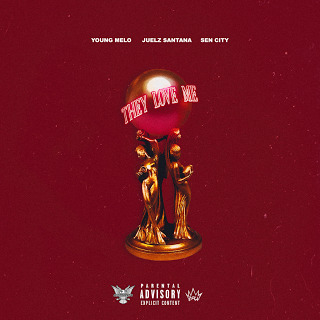 “They Love Me” is a perfect example of how rappers can stick to the roots of their culture while staying modernized, but also not having to compromise the sound. It is a tough balance to find but the 22-year-old has it down. This effort is of course made easier by Dipsets own Juelz Santana and Sen City who both also do a good job of finding that balance and remaining authentic. For those that think Young Melo just got lucky and caught one with “They Love Me” they need to check out “Effen” by Tony Yayo where Melo is featured and steals the show. Check out “They Love Me” below and get back into that New York state of mind.